It’s nice to be back after a break of a few weeks, during which I’ve made great progress on ‘Quinton 6’ – nearly 30,000 words written already! It’s been quite an eventful time, too. I gave a talk at the Nelson Museum in Monmouth, which is a wonderful place and should be a ‘must’ for anybody interested in Nelson and/or naval history in general, and was interviewed about Britannia’s Dragon on BBC Radio Wales’s Roy Noble show, an experience that I thoroughly enjoyed. Anyway, back to business, and today (24 February) is the anniversary of the surrender of the French ‘Black Legion’ at Fishguard in 1797, marking the end of the last invasion of Britain. ‘Last invasions’ have been in the news recently, with Lord Neuberger, the President of the Supreme Court, no less, arguing that one of the reasons why Britain is so semi-detached from, and suspicious of, the European Union, is because there has been no ‘true invasion’ and foreign occupation since 1066. Now, I have no doubt that the noble m’lud is an exceptionally competent lawyer, but he really should leave the history to people who know what they’re talking about. As Nicholas Rodger notes in The Safeguard of the Sea, England has been invaded, and the government overthrown, on no fewer than seven (debatably eight) occasions since 1066. There are still plenty of people who see the expedition of William of Orange in 1688 as a just crusade organised from within England – hence the very notion of ‘the Glorious Revolution’. About twenty years ago, I gave a lecture to the Royal Stuart Society and suggested that 1688 was actually a Dutch invasion. I was berated afterwards by a lady who was most upset at any suggestion that it was anything other than a truly ‘glorious’ step on the inevitable path to parliamentary democracy (aka ‘the Whig interpretation of history’). Since then, though, mighty tomes by the likes of Lisa Jardine and Edward Vallance have presented a more detailed view of 1688 as a Dutch conquest, given a fig-leaf of legitimacy by the ‘letter of invitation’ from seven completely unrepresentative individuals acting unconstitutionally – in other words, arguably the same level of legitimacy one could accord to the ‘invitation’ to take over Kuwait issued to Saddam Hussein in 1991 by a small clique in that country. William came with 463 ships, including 49 warships, all of which were Dutch (albeit with an immoral, drunken Welsh admiral in nominal command) and 40,000 men, mostly Dutch but also including some English and Scots units, as well as Huguenots, Germans, Swiss, Swedes, and ‘even a unit of Laplanders’, as Rodger notes. Preserving Protestantism in Britain was relatively incidental to William’s main purpose, which was to secure its support (and, above all, its navy) for his forthcoming war with Louis XIV’s France; and, famously, he also had the overt support of the Pope. So all in all, if 1688 wasn’t an invasion, I don’t know what is; and with that, I rest my case, m’lud. The story of the French landing at Fishguard in February 1797 is relatively well known, and needs no detailed repetition here. In December 1796, an expedition under General Lazare Hoche and the Irish nationalist leader Wolfe Tone arrived in Bantry Bay, but was unable to land due to atrocious weather. Hoche had also envisaged two supporting diversionary expeditions, one to the north-east of England and one to the south-west. The latter was to attack Bristol or else land on the west Welsh coast, disrupting commerce, diverting British forces, and, it was hoped, encouraging the local peasantry to rise enthusiastically in the cause of Liberty, Equality and Fraternity. Despite the failure of the Bantry invasion and the cancellation of the raid on the north-east due to bad weather, this one remaining French expedition went ahead. It was commanded by a wealthy Irish-American landowner, William Tate, a close friend of Wolfe Tone who had served as an officer in the Fifth South Carolina Regiment of the Continental Army during the American War of Independence. Tate’s force consisted of about 1,200 men, many of whom were former prisoners, with several Irishmen among the officers. The very dark brown die used for their uniforms gave them their nickname, La Legion Noir, the Black Legion. Transporting them into Welsh waters was a squadron of four ships under Commodore Jean-Joseph Castagnier. He had two large and new frigates, Le Vengeance and La Resistance, the latter being on her maiden voyage, together with the corvette La Constance and a lugger. Flying Russian colours, Castagnier’s squadron left Brest on 16 February 1797 and attempted to make for Bristol, but adverse winds forced the French to abandon their principal target and make instead for their secondary objective, Cardigan Bay. At noon on Wednesday 22 February, the French rounded St David’s Head, now flying British colours. These did not fool the eagle-eyed Thomas Williams of Trelythin, a retired naval seaman who recognised the approaching ships for what they were and raised the alarm. 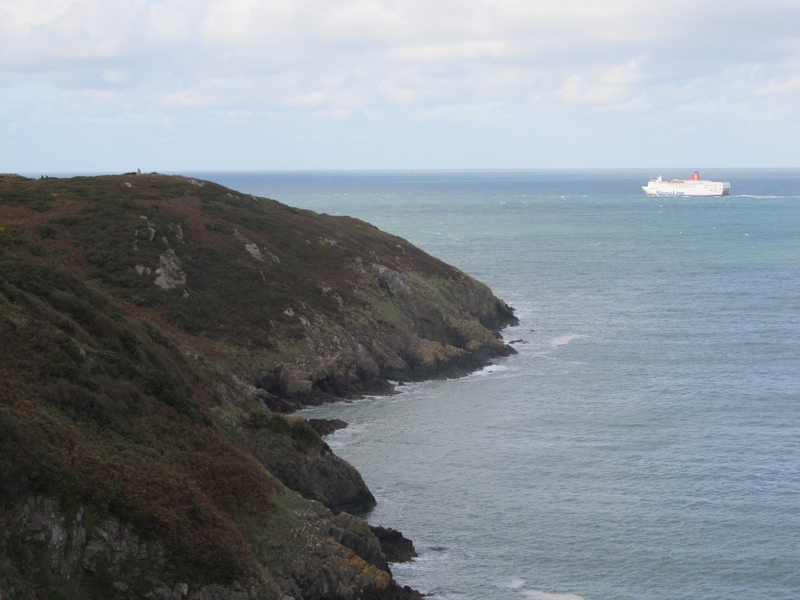 At four that afternoon the French anchored off Carreg Wastad Point, three miles west of Fishguard, and began to disembark. 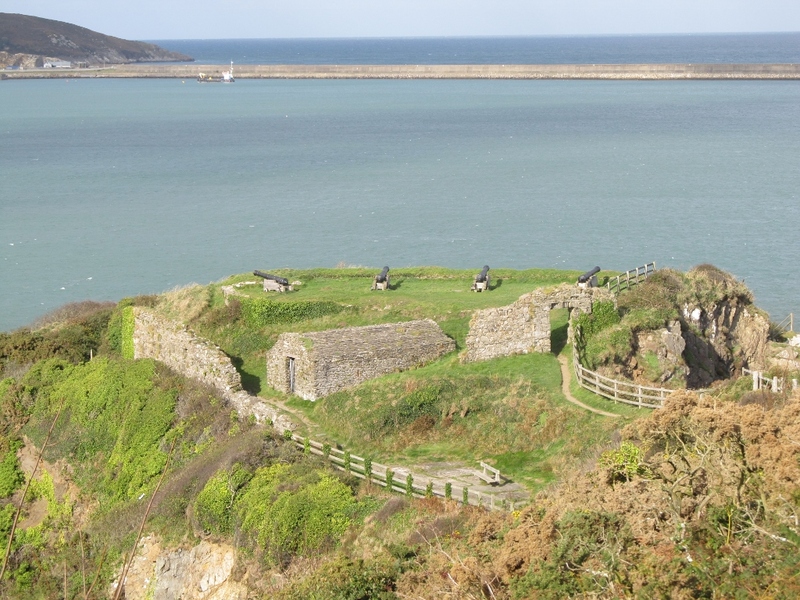 The lugger sailed into Fishguard Bay to reconnoitre the town, but Fishguard Fort opened fire and the French vessel withdrew in alarm. However, the sloop Britannia strayed unwittingly into the middle of the invasion fleet and was captured. Meanwhile the local defence forces began to mobilise, first the Fishguard and Newport Volunteer Infantry, then the Pembrokeshire Yeomanry under Lord Cawdor, which fortuitously was mustered for a funeral that day (albeit at Castlemartin, some thirty miles away as the crow flies). Captain Edward Longcroft, the navy’s regulating officer at Haverfordwest, committed about 150 sailors drawn from his press gangs and the local revenue cutters, one of which, the Speedwell, had allegedly encountered the French squadron prior to the landing. Cannon were brought ashore from the revenue cutters to reinforce both the defences of Haverfordwest and Lord Cawdor’s little army. That force, reinforced by the local volunteers falling back in the face of the superior French numbers, totalled some six hundred men by the time it reached Fishguard in the evening of the twenty-third, but plans for an immediate attack had to be abandoned due to the difficulty of manoeuvring in the darkness. However, morale in the French ranks was crumbling rapidly, despite their great superiority in numbers, partly because of the departure of the reassuring presence of Castagnier’s ships, which sailed to harry trade off Dublin. According to one of the great Welsh legends, the French loss of nerve was abetted by the appearance of large numbers of local womenfolk wearing traditional dress of red shawls and black hats, which the jittery Black Legion spied from a distance and assumed to be the uniforms of a vastly superior regiment of the regular British army. The French asked for terms, but Cawdor would accept only unconditional surrender. 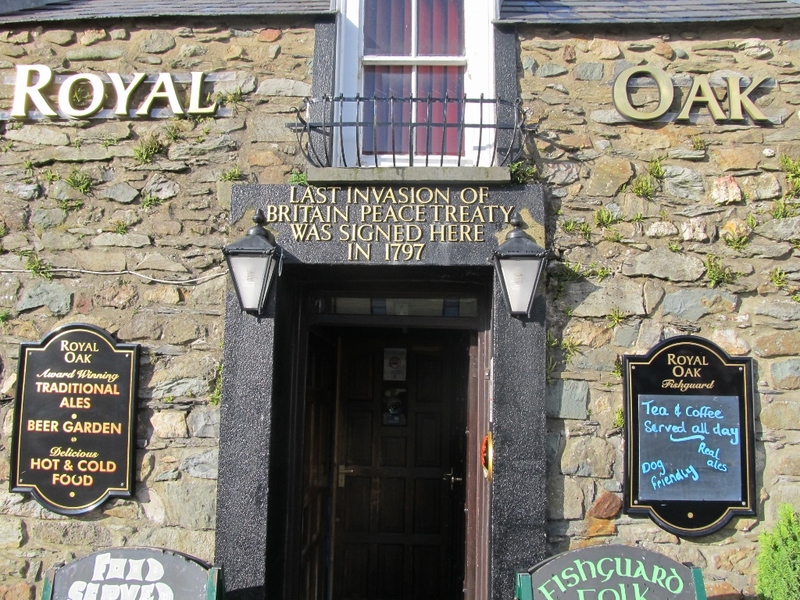 Tate finally agreed to this in the afternoon of 24 February, and the last invaders of Britain surrendered ignominiously on the sands of Goodwick Bay. One aspect of the Fishguard invasion that has been almost entirely neglected in previous accounts is the Royal Navy’s response, which can only be described as a catalogue of confusion. The French were able to land partly because of a disastrous intelligence failure at the Admiralty and in the government as a whole, which was convinced that any French assault would be directed either at Ireland once again or else at some place on the east coast of England. (The main body of the Pembrokeshire Militia was in Felixstowe, not Fishguard, as the former was felt to be a much more likely target of a French invasion.) In any case, February was hardly a likely time for any invasion to take place, and the navy had relatively few ships at sea. Consequently, the Admiralty’s first response to reports of the Fishguard landing was sceptical and tentative. On 24 February it sent sailing orders to its most famous and successful captain, Sir Edward Pellew of the powerful frigate Indefatigable, both still basking in the glory of their stunning victory off the Breton coast five weeks earlier when Indefatigable and another frigate had destroyed the French ship-of-the-line Droits de l’Homme. At first Pellew, with Indefatigable and two smaller frigates under his command, was directed into the Bristol Channel. On the twenty-fifth, though, with financial panic taking hold in the City of London, the Admiralty countermanded this and ordered Pellew to sail instead for Brest, changing its mind again on 2 March when it ordered him to cruise off Worm’s Head & thereabouts ‘for the protection of the trade and annoyance of the enemy, intelligence having been received that they have seven frigates on that part of the coast’; but if they had left, he was to proceed ‘and sweep round the coast of South Wales in quest of three French frigates which landed a body of troops at Fishguard the 22nd ulto.’ These orders must have caught up with Pellew when he was already at sea, for he had finally sailed from Plymouth on 2 March, almost a week after the French surrendered. On the sixth and seventh Indefatigable cruised off St Ann’s Head, and on the eighth she was four miles off Strumble Head, but it was clear that the emergency was long over. Pellew’s squadron rounded Lands End again on the tenth and anchored in Carrick Roads at Falmouth on the fourteenth. However, Pellew’s cruise was not the sole naval response to the Fishguard invasion. On 22 February the navy’s regulating officer at Haverfordwest, Captain Edward Longcroft, placed an urgent letter aboard the Valiant lugger, addressed to Vice-Admiral Robert Kingsmill, commanding the Cork station and flying his flag in HMS Polyphemus (or, as the lower deck called her, the ‘Polly Infamous’). Longcroft announced the landing of the French and that every effort was being made to oppose them, despite the fact ‘we have not one man of war in the harbour’; in evident panic, he pleaded that ‘as the enemy are making a landing fifteen miles from this place, I request you must sail instantly’. Kingsmill, an elderly and hugely experienced officer, ordered the Valiant back to sea to reconnoitre, but at first he, too, was sceptical; fishing vessels were coming into Cork from the Welsh coast averring that they knew nothing of a French landing, and Kingsmill believed that any appearance by French ships had to be a feint to conceal an attack elsewhere. On 27 February Kingsmill received certain intelligence that there really were French ships in the Irish Sea and that they were now said to be near Wicklow Head. Although he was still convinced that Ireland must be their principal target, Kingsmill finally ordered to sea a powerful squadron commanded by Captain Michael de Courcey in the 44-gun frigate Magnanimous, accompanied by the Doris, Romney, Penguin and a cutter, but this was really a case of bolting stable doors, as de Courcey’s squadron failed completely to intercept Castagnier’s ships. However, the hasty naval response to the French invasion achieved a belated but spectacular success on 9 March when two of the ships that had landed the invading force at Fishguard, the frigate La Resistance and the corvette La Constance, were captured by HM ships Nymphe and San Fiorenzo. The French ships had spent too long on the Irish coast and had been damaged by bad weather, although Commodore Castagnier himself successfully made it back to Brest in his other frigate, La Vengeance. La Resistance was taken into the Royal Navy and renamed Fisgard, the archaic version of the name that the Admiralty preferred to Fishguard. She was put into commission under Captain Thomas Byam Martin, who as Sir Thomas and Comptroller of the Navy from 1816 to 1831 would later be one of the principal movers in the creation of Pembroke Dock, Wales’s only royal dockyard. The Fisgard swiftly distinguished itself, capturing the frigate Immortalité in 1798 and later taking part in actions at Corunna, Curaçao and Walcheren. 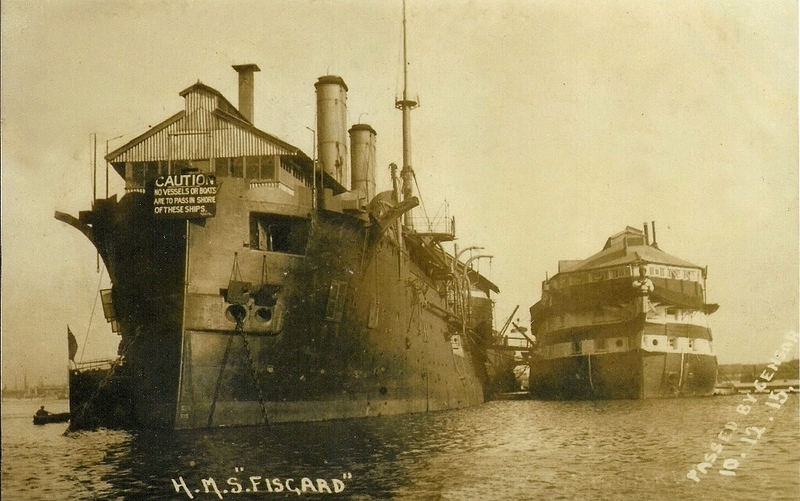 The name Fisgard would remain on the Navy List until 1983.